Slow squeeze technology ensures that the juice produced retains all the nutrients. Works great on hard and soft fruits, nuts, vegetables, leafy greens and soybeans. Create tofu, milk, sorbets and more. 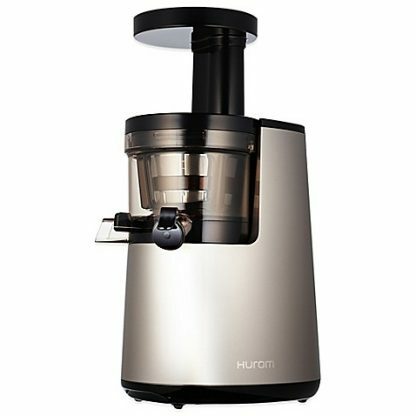 The best-selling HH Elite slow juicer is pleasing to the eyes, as well as the taste buds. It is equipped with a Slow Squeezing Technology (SST) which gently, quietly, and efficiently squeezes a vast variety of ingredients into delicious, vibrant juices, and vegan nut milks. Award-Winning Design: An iF, Red Dot, IDEA and Good Design winner. Slow Squeeze Technology: The HH Elite slow juicer rotates at a speed of just 43 revolutions per minute to mimic the motion of a hand squeezing juice. This ensures that the nutrients are maintained in the juice. 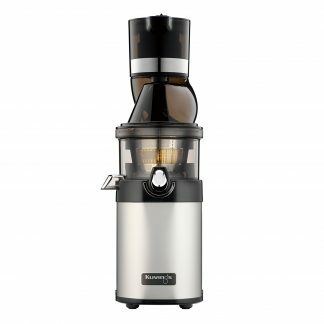 Taste & Pulp Control: The HH Elite slow juicer comes with a control lever and fine and coarse strainers that allow you to control the amount of pulp to suit your taste. 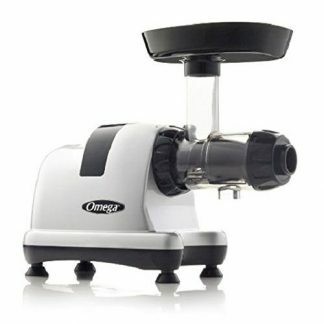 Yield: Unique low-speed auger squeezes every drop of juice, resulting in a greatly increased yield. 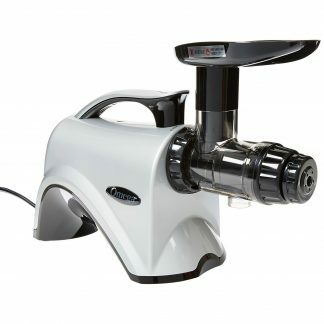 Easy to Clean: The HH Elite slow juicer can be quickly disassembled and assembled, making cleaning a breeze. Quality: Made with an impact resistant ABS plastic body which makes the HH Elite extremely durable. Versatility: Works on fruits (even ripe bananas and soft, delicate berries), cruciferous vegetables, leafy greens, nuts and soybeans to create nutritious juices, milk, tofu, and more. Safety: Duplicate safety sensors allow the unit to operate only if the chamber is completely and accurately assembled on the base. A built-in cooling system with integrated heat vents prevents overheating. The chute is sized to keep even small fingers out. Most importantly, no blades are used.